Get ready for the Great Annual Easter Egg Dive! 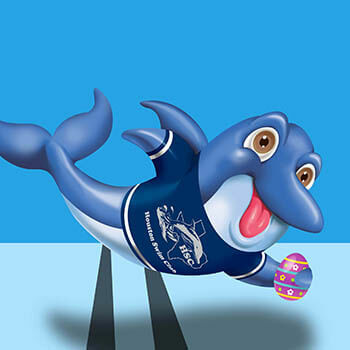 In celebration of the Easter holiday, swimmers in our swim lessons can go hunting underwater for Easter eggs during the last minute of swim class. This activity typically replaces "rings" in the lesson, where students pick up objects from the bottom of the pool (with assistance in earlier levels, and later independently). April 12 - 18, 2019, we will be replacing the rings with eggs for all of the classes. Let your children know to expect the fun! Every year our amazing little swimmers have a lot of fun with this Easter themed twist on their skills! Not currently registered for a class? Find a class and join the fun!